Earn up to 6,800 reward points. Gives your acoustic instruments a bigger voice. 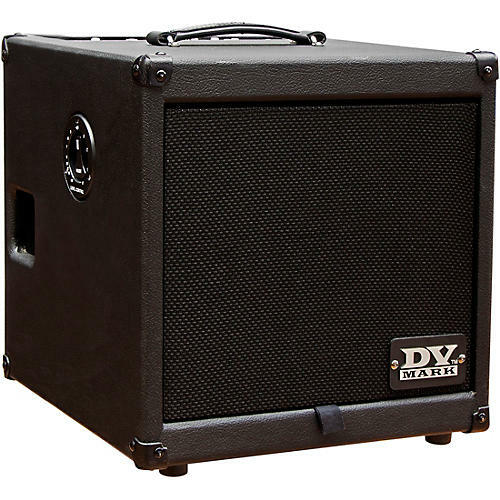 The DV AC101 is a compact, powerful combo designed for all acoustic instruments including acoustic guitar, classical guitar, archtop guitar, acoustic bass, mandolin, violin, cello, banjo, etc. The two channels (one of which accepts a mic input) allow to use two pickups, two instruments, or an instrument and a microphone. It includes 48V phantom power, feedback control and phase reverse, adding a new hi-performance compression driver, pre/post EQ switch for the XLR DI, FX send/return, tuner out and a next generation of digital reverb and chorus that are sweet-sounding, warm and natural.